Part of idol culture is to periodically make appearances at award shows, movie or television drama premiers, press conferences and the occasional product or service launch party. So in addition to being able to see your bias on the stage or listen to him (or her) via the magic of digital recording, seeing them out and about at various events gives a added boost of excitement, and usually some pictures and potentially some video footage. 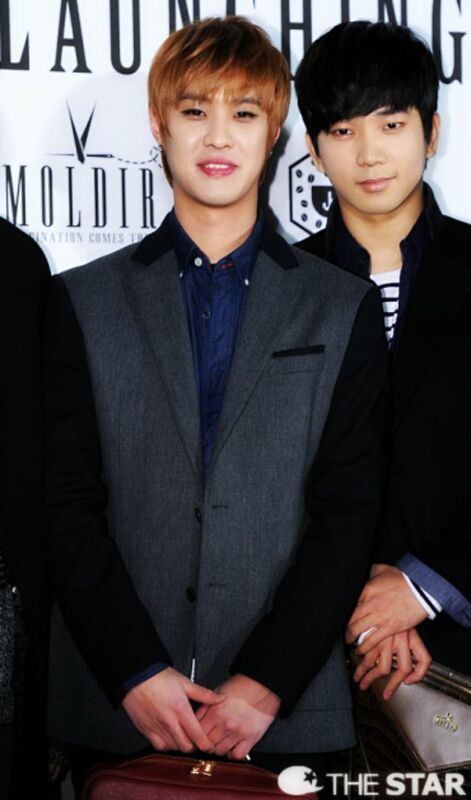 On January 24, 2014, JYJ’s Kim Jaejoong opened his flagship Moldir store in Cheongdam-dong and celebs from across the board showed up for the launching party and fashion show, including four of the beautiful music men in absolute quality (sorry, I just cannot call these men boys any longer). 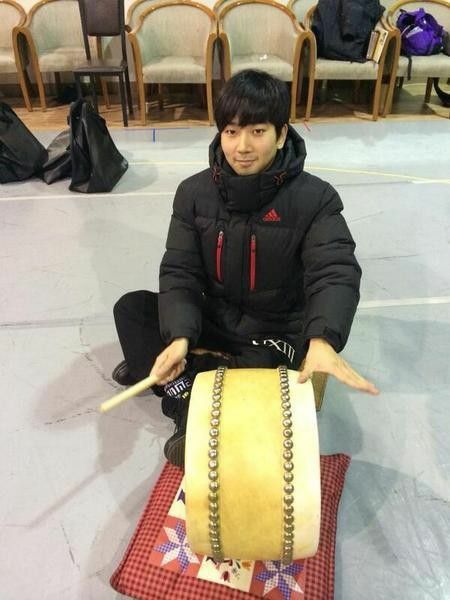 In looking back, I remember that at this time, G.O was deep into rehearsals for Seoypyeonje, and I was deep into planning my adventure to see him for the first time. January 2014 was indeed an exciting time for the both of us! Still, he took the time to go out and support a fellow artist in his entrepreneurial venture. 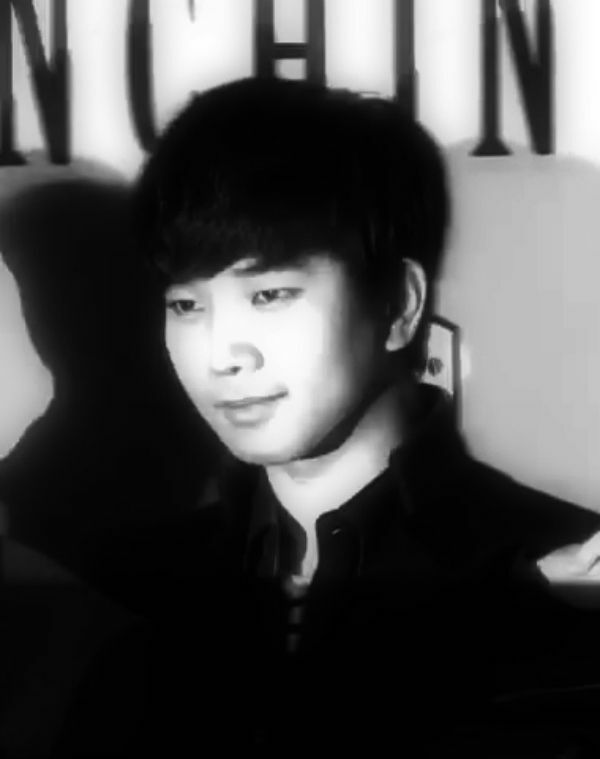 With all of the flurry of press and paparazzi, G.O maintains an aura of calm about him. He amazes me with the way in which he meets his fame with grounded quietude yet takes the stage with intense and passionate abandon. An intoxicating blend of mercurial artist and humble quiet man. 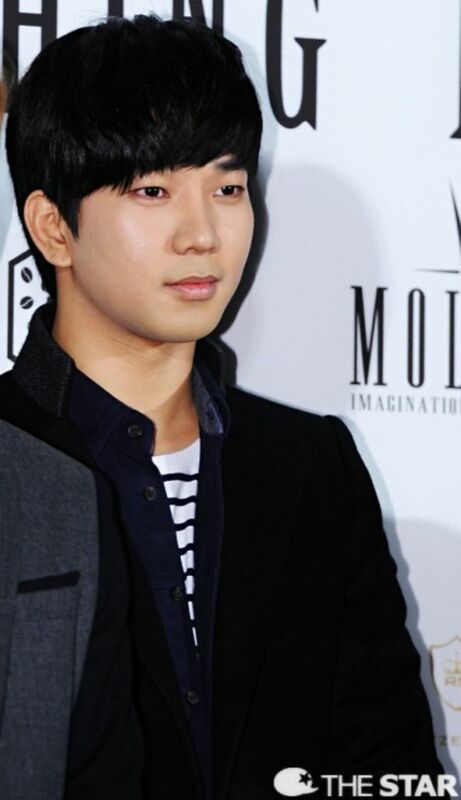 Categories: G.O Military Discharge, MBLAQ Musings, The G.O Files | Tags: Bang Cheol Yong, Bang Cheol Yong images, G.O, G.O images, G.O Public Appearances, G.O's Military Service, Jung Byung Hee, Jung Byung Hee images, Kim Jaejoong, MBLAQ Cheondung, MBLAQ Cheondung images, MBLAQ G.O, MBLAQ G.O images, MBLAQ G.O Public Appearances, MBLAQ Mir, MBLAQ Seung Ho, MBLAQ Thunder, MBLAQ Thunder images, MBLAQ Yang Seung Ho, MBLAQ Yang Seung Ho images, Moldir Store Cheongdamdong, Musical Actor G.O, Park Sang Hyun, Seopyeonje, Seopyeonje The Musical, The Musical Seopyeonje, Yang Seung Ho, Yang Seung Ho images | Permalink.